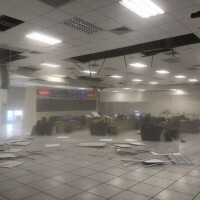 WASHINGTON (AP) — Cam Atkinson scored his 25th goal of the season, Artemi Panarin connected in overtime and the Columbus Blue Jackets beat the Washington Capitals 2-1 on Saturday night after the defending Stanley Cup champions lost All-Star goaltender Braden Holtby to an eye injury. Blue Jackets goalie Joonas Korpisalo stopped 32 shots in his second consecutive start in place of Sergei Bobrovsky, who backed up after being scratched Thursday for disciplinary reasons. Coach John Tortorella did not commit to starting Bobrovsky in the second half of his team's back-to-back this weekend. After Atkinson beat Holtby a minute into the game on a breakaway, Columbus was cruising toward a regulation victory until Evgeny Kuznetsov tied it with 1:06 left. The 6-on-5 goal was Kuznetsov's first in 18 games dating to Dec. 2. 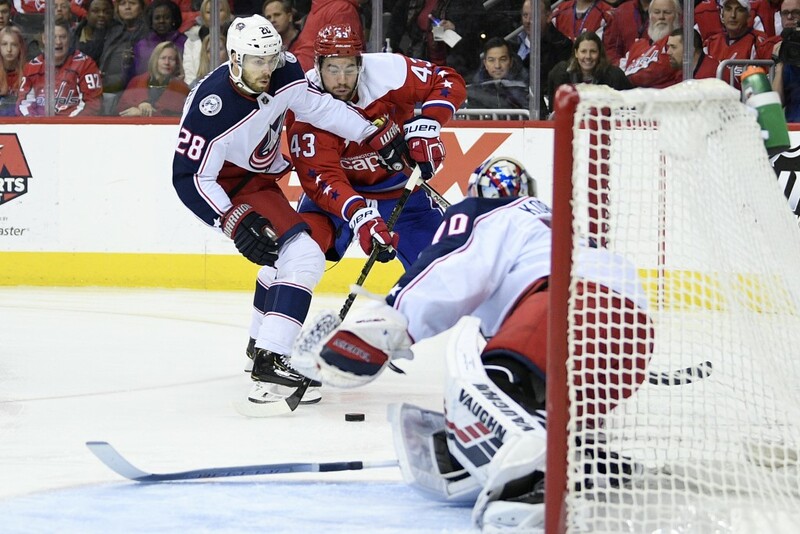 But Panarin snapped Washington's winning streak at four games and gave the Blue Jackets back-to-back wins with a power-play goal 3:30 into overtime. Columbus pulled within four points of first place in the tight Metropolitan Division. 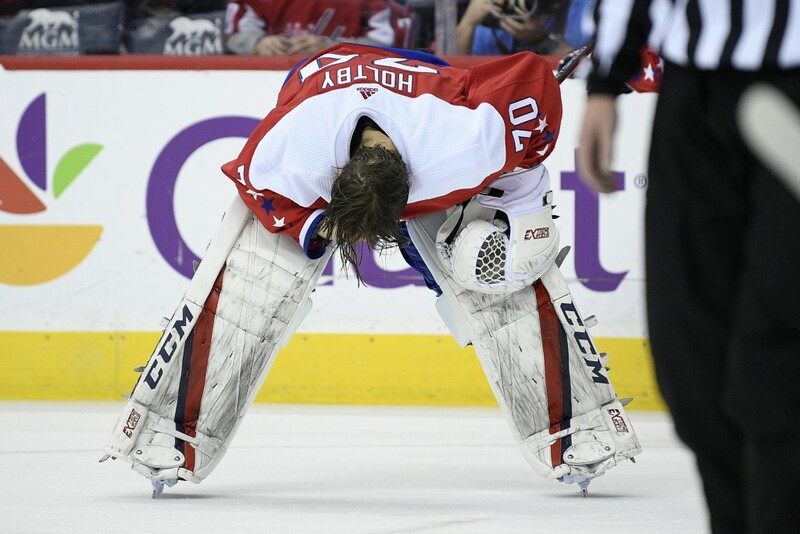 The freak injury to Holtby wasn't the only drama for the Capitals. They got a scare when Alex Ovechkin left the game in the first period, but the NHL's leading goal-scorer came back for the second. Ovechkin's return should not have been a surprise given his durability. The Russian superstar has played 208 consecutive regular-season games dating to being held out of the 2015-16 finale to rest up for the playoffs. 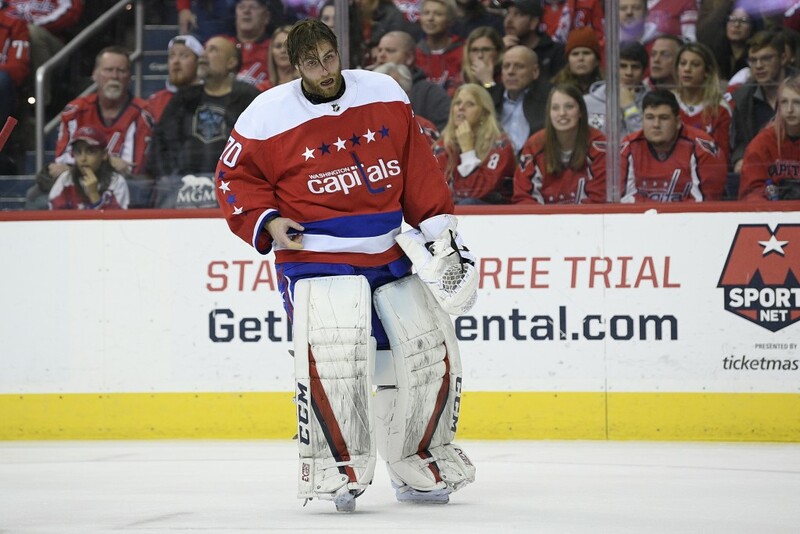 NOTES: Holtby stopped 10 of the 11 shots he faced. ... Copley made 10 saves in relief. ... Kevin Stenlund played on the Blue Jackets' second line in his NHL debut.